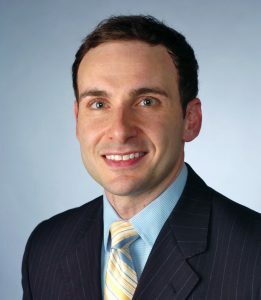 Anthony Adornato is an assistant professor of journalism at Ithaca College’s Roy H. Park School of Communications. Adornato specializes in teaching and researching the use of mobile and social media in journalism. His textbook on this topic will be published by Sage in 2017. Adornato got hooked on journalism when he first walked into a newsroom in middle school. Prior to teaching, he worked in the journalism, digital media, and public relations fields. Adornato spent 10 years in broadcast journalism as a television news anchor, reporter, and producer. He continues to remain active in the field, most recently partnering with NBC News to cover one of the South Carolina Presidential primaries for the network’s broadcast, website, and social media platforms. A team of his students were part of this collaboration. He frequently presents at national conferences of the Association for Education in Journalism and Mass Communication (AEJMC) as well as the Broadcast Education Association (BEA). Adornato’s research has been published in the Electronic News journal and Journal of Media Education. He has degrees from the Newhouse School at Syracuse University and the University of Missouri’s School of Journalism. He’s thrilled to be part of the Urbino program—and so is his family. He has a great aunt and many cousins who live near Rome and in Calabria. One of his sisters also studied at the University of Urbino.